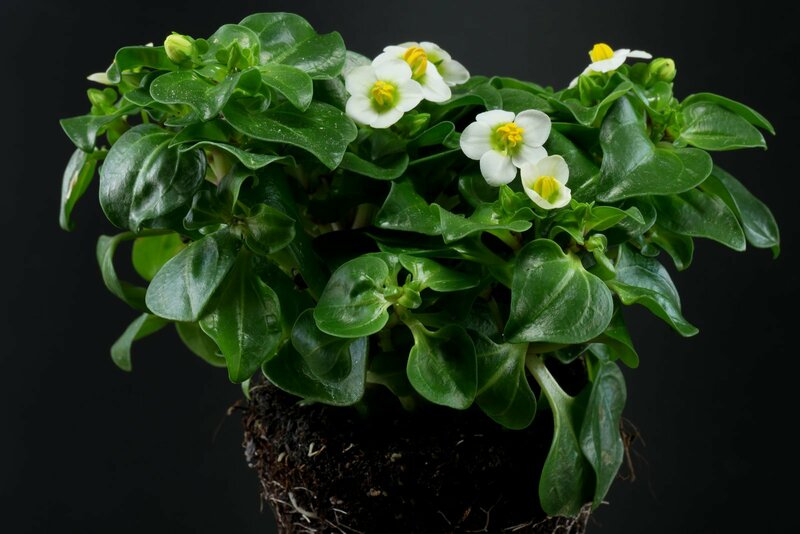 Exacum affine is suitable for semi-shaded to partly sunny locations with morning sun, evening sun and winter sun. The hot summer sun will only be tolerated if the pot is placed at least one meter behind the window. Regular mixtures for indoor plants, container plants, herbs, vegetables and cacti can be used. Allow the soil to dry moderately between the waterings. Let it only dry to about 80 % of the pots height before adding water. Avoid the soil from drying out, otherwise flower buds can be thrown off. 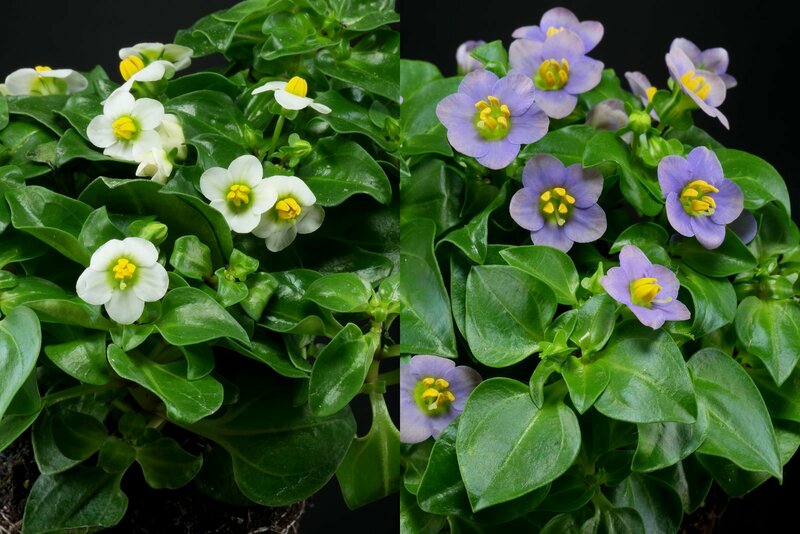 Exacum affine is available flowering in blue or white. 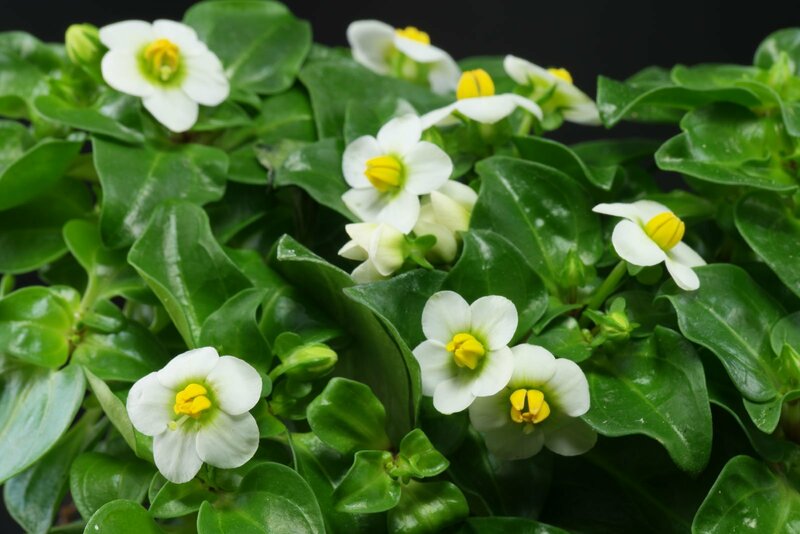 In the first year after purchase or repotting, Exacum affine does not require fertilization. Afterwards, standard or organic liquid fertilizer can be given monthly from spring to fall. 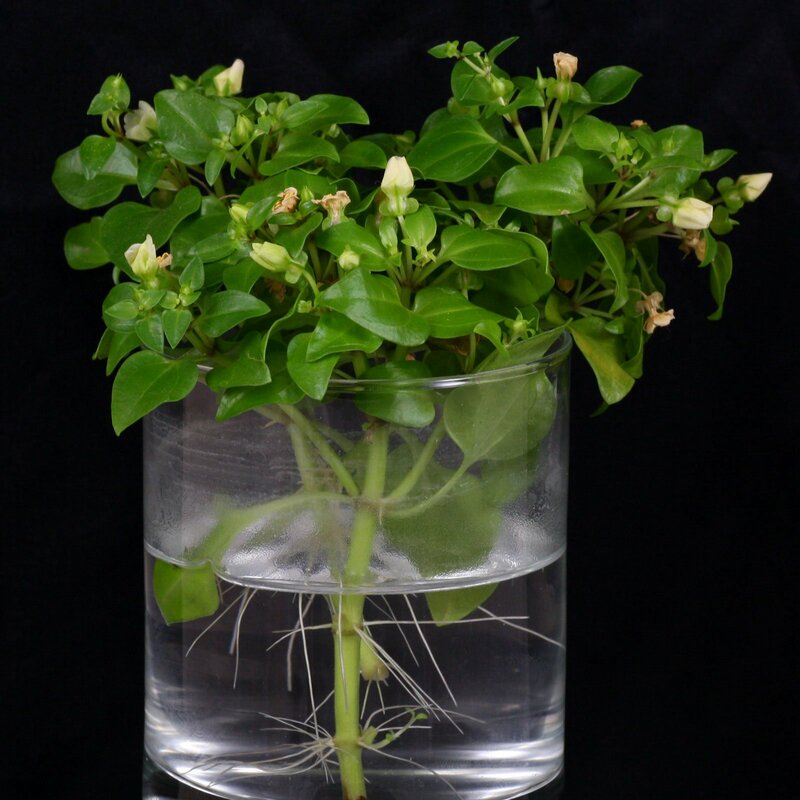 Exacum affine grows good at room temperature the year round. A winter rest period at about 15 °C (59 °F) will also be tolerated. Minimum temperature is 12 °C (53 °F). 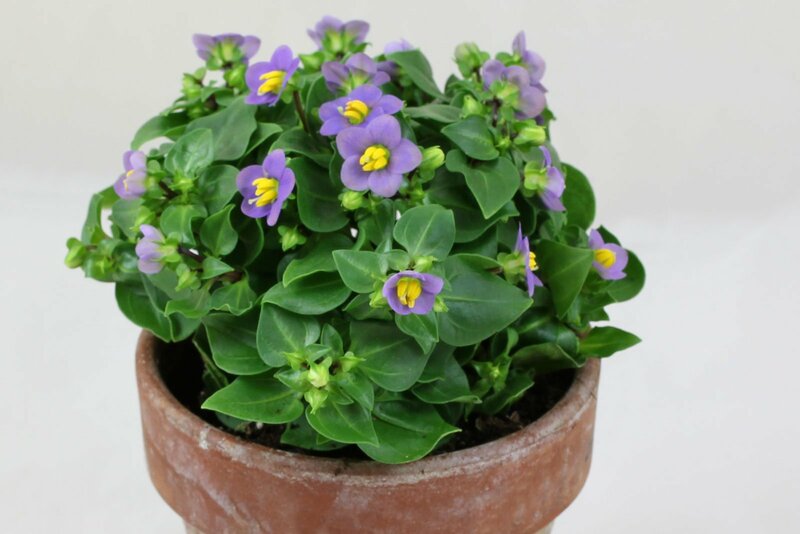 Growing the Persian Violet from cuttings is simple. At 20 °C roots can appear after 7 to 10 days. Cuttings will root in between 7 to 10 days. 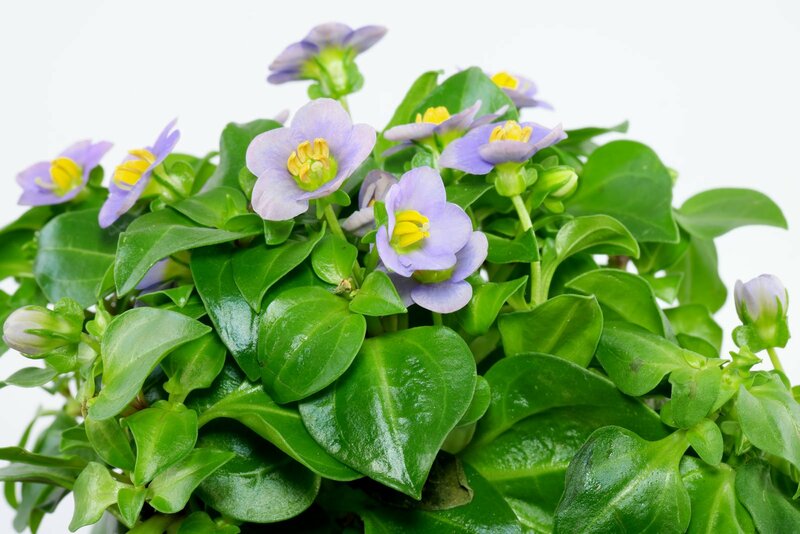 Yes, the Persian Violet is slightly poisonous.